If you read this blog you already know how crazy I think the world is right now. It is upside down and inside out as I like to say. I suppose I could get caught up in that scenario like so many others, but I choose not to as best I can. I have the kind of mind when if presented with a problem, it immediately goes looking for a solution on its own. So of course I look at Spain and the world as a whole right now, but I also look deeper into the why of everything, for the core, for it is there that the true solution for healing humanity must begin. This is where medicine today is failing. We must stop taking in all forms of distraction/medicine to mask our problems, like an aspirin to take away pain. Heal the problem heal the pain. As with every lesson we are meant to learn in this life time, if we ignore the lesson, it just gets worse, amplified by ten, it screams and causes pain until we pay attention and act. If you look at everything going down around the world right now one central theme runs throughout it all…We have not learned the art of listening. Think how frustrated and sometimes angry you get when you are trying to get a point across but nobody is listening. It is an attack on our validation. Everyone needs to feel validated. It is part of being human. It nurtures our being and we feel strength and goodness from it. 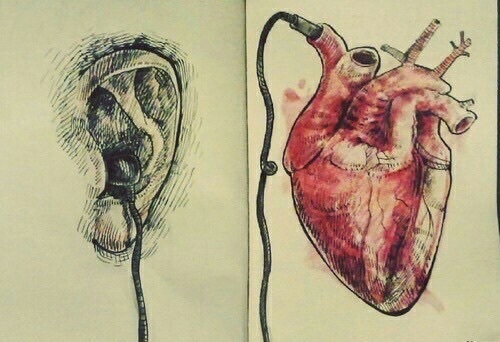 It is so sad to watch the whole world not be able to listen. Nobody is being heard, nobody is being understood, nobody is being validated and it is causing great friction that is burning so hot it is about to ignite. To not listen is also to not respect and we are seeing little respect being shown to anyone. All the screaming and spewing the most hateful words we can dream up to try to hurt someone else, to demean them, injure them, destroy them. It is pitiful to have to acknowledge that this is our world today. Listening is so automatic like breathing, that we pay it little attention and therein lies our problem we need to fix. We need to learn how to listen correctly without judgment and with an open compassionate heart. It is such a shame that our so-called leaders have disgraced us all by their partisan bickering, dangerous ego games and total lack of caring about the people who put them in office. From birth on we have learned how to navigate our world from watching others. I feel shame and disgust when I watch what goes on in Washington. Words, lies and manipulation. They are so busy keeping their stories straight so they can get re-elected that they can’t listen and certainly not with an honest, compassionate heart. If they will not show maturity and leadership, then we the people must step in and take over, pushing them all out of office for not doing their jobs. Don’t forget they work for US! Our leaders will not listen so it is now up to us to focus on our individual lives and master the fine art of listening with compassion. All people wish to be heard and understood, so we ALL have to learn by making sure we listen with an open heart. It will take practice for we will immediately go for what is familiar. We judge, we assume, we criticize. We can end this way of being in the world, it just takes doing it. Making conscious choices for the betterment of others, thinking before we ourselves speak, concentrating on the person speaking and what they are saying, not on what our response is going to be. That is ego speaking. Tuck ego to bed and choose to be a better you and hopefully those around us will do the same. We can’t change the whole world but we can change ourselves. Ah, well. I’m pleased to say I’m not one of them, VK. To my detriment I weigh things up a little too much, but then I don’t have a team of advisers telling me when to breathe, etc. !